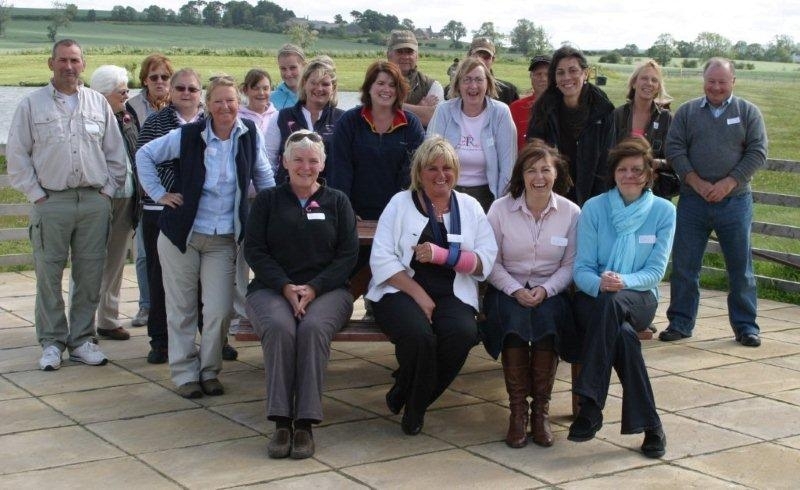 Ladies Fishing in the North East held their 1st still water fund-raising event for Casting for Recovery UK & Ireland at Chatton Trout Fishery, Northumberland on Saturday. 15 ladies from beginners to advanced gathered to raise money and also improve their fishing with a selection of workshops available during the evening event. 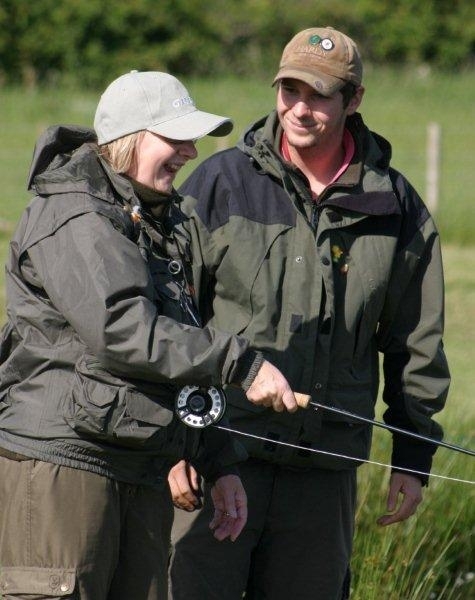 Beginner’s introduction to Fly Fishing with GAIA Clive Robson & Colin Thrower. How to achieve more distance from your casting with 18 year old Richard Wood distance caster since the age of 11, attaining 3rd place last year in the adult distance competition CLA Belvoir Castle. At 18 Richard is currently the youngest level 2 coach in the UK. 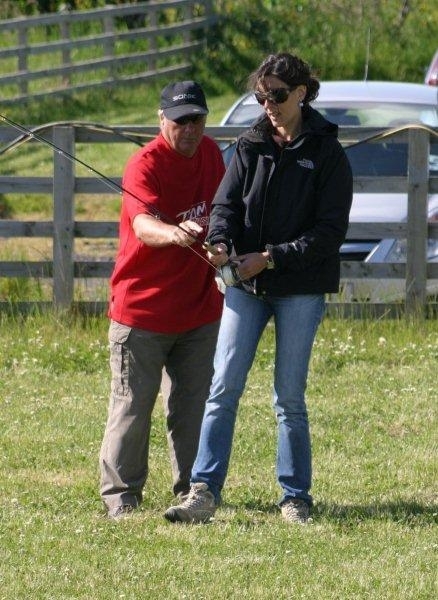 Introduction to fly dressing from AAPGAI Master Paul Little with still water fly choice. Fish a still water fishery effectively with Jim Tuc, Team Chatton competition member. All workshops were well attended, with some ladies joining all sessions. Distance casting with Richard was very popular, which just goes to show that every angler wants to cast that extra yard or 2. Supper and the ladies enjoyed a Pimms drinks reception with BBQ from Ali’s husband, buffet/desserts provided by award winning cooks Marion and Sarah. Ladies fishing are getting a reputation for providing excellent cuisine at their events, this was no exception, member Marta from Marta Vine bought along a sample of Portuguese wines she’s just introduced to the north east to compliment the food. After supper Colin Thrower gave a spinning demonstration including tuition. 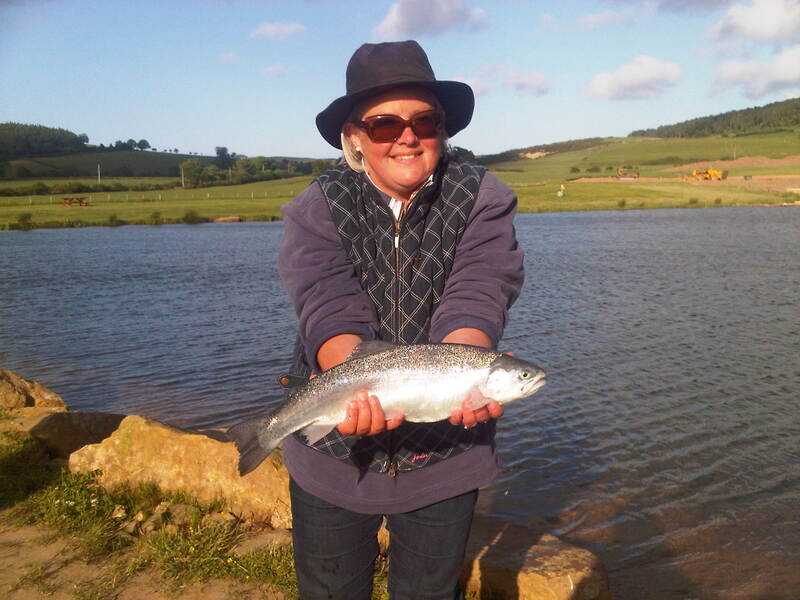 All ladies continued fishing into the evening and congratulations go to Tabitha Bell who caught her 2nd fish of the evening after tuition from Jim Tuc. Final Draw of the night a rod, reel, line and flies courtesy of Ali & Roger was won by Tracey who kindly donated the prize back and included a fishing bag. This was drawn again at Chatton Trout Fishery by Ali on Monday, lucky lady out of the draw was beginner Marta Aires. 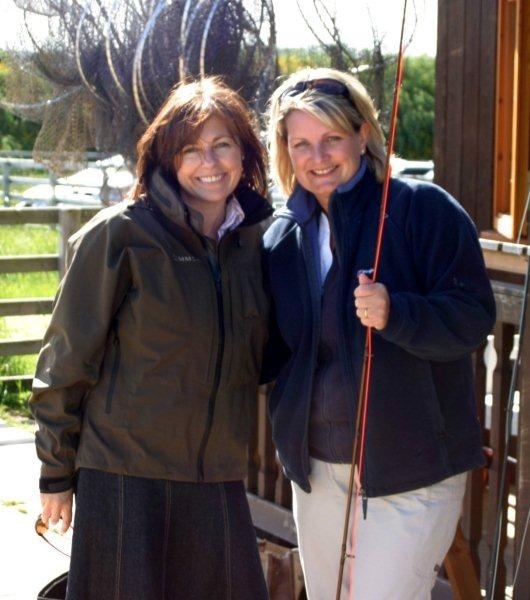 To finish the event all ladies went home with a goody bag courtesy of Game Fishing Supplies. 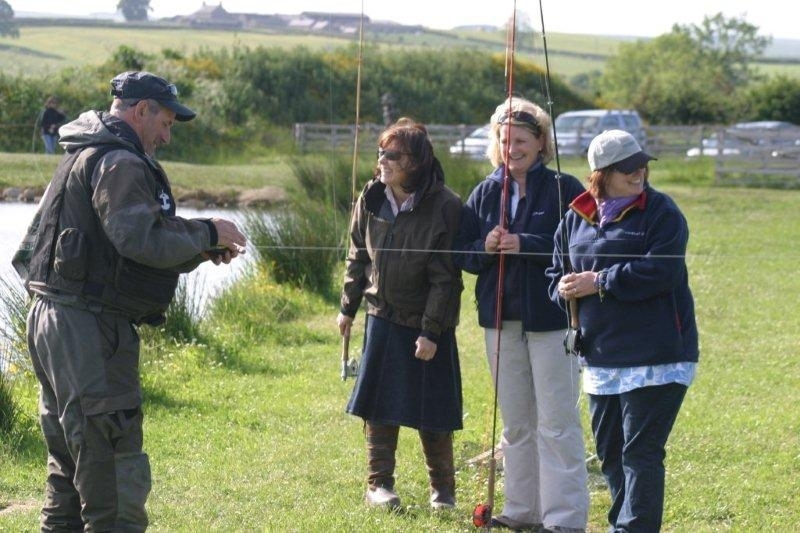 Thank you to everyone who attended the Chatton Trout Fishery Event. Huge thanks must also go to Martin Ritchie Newtyle Beat, Tay who is currently holding an online charity auction on Ebay with the proceeds going towards the £6,000 target.